The missile reached a height of 550 kilometers after being fired at a high angle and flew about 500 km before splashing down into the East Sea. 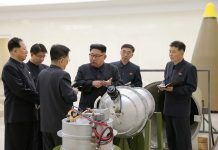 North Korea appears to have employed technologies used in submarine-launched ballistic missiles (SLBMs) to develop a new type of intermediate-range ballistic missile tested Sunday. 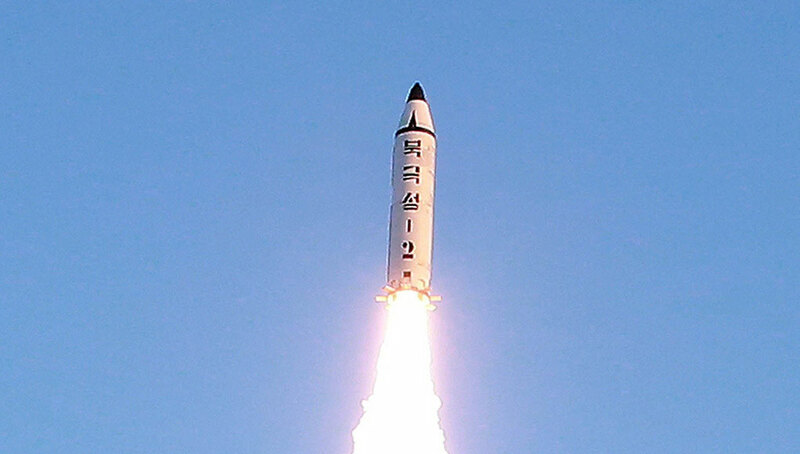 The SLBM launched in August carried the name Pukguksong-1, (Polaris – or ‘North Star’); the official announcement about the missile test called the new missile Pukguksong-2. The remark came after the JCS initially identified the type of missile fired from Bangyon air base in the western province of North Pyongan Province at 7:55 a.m. as a medium-range Rodong or modified Rodong, and then changed their assessment to a modified Musudan intermediate-range ballistic missile (IRBM). The missile reached a height of 550 kilometers after being fired at a high angle and flew about 500 km before splashing down into the East Sea. As many recent North Korean missile test flights, the launch was conducted in a “lofted” style; it put the missile into a high trajectory rather than a lower one that would test its maximum range. 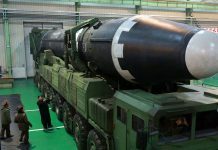 “North Korean leader Kim Jong-un likely ordered the task of developing a surface-to-surface Pukguksong-2 missile based on the successful SLBM test carried out in August. 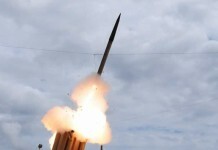 We have reached an assessment that the North is in the process of developing a ballistic missile with a significantly extended strike range,” an official from Seoul’s Joint Chiefs of Staff (JCS) said. 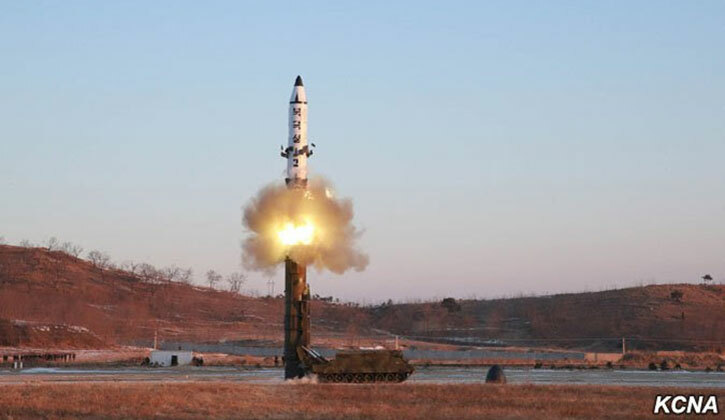 Unlike the older R-27 Zyb which was liquid fueled, the Pukkuksong-1 and now the Pukkuksong-2 gives North Korea a low detection and higher maneuverability than current generations of DPRK liquid-fueled ballistic missile provide. The missile is carried by the tracked Transporter Erector Launcher (TEL) in a climate controlled canister that maintains the missile and the warhead mated to the missile for extended periods of time and provides rapid roll-out and launch capability, as missiles can quickly deploy from their depots to firing positions, without fueling. With this new solid fuel propulsion the new intermediate missile, its range may be greater than an SLBM that can fly 2,000-2,500 km, but shorter than a Musudan’s 3,000-3,500 km range. 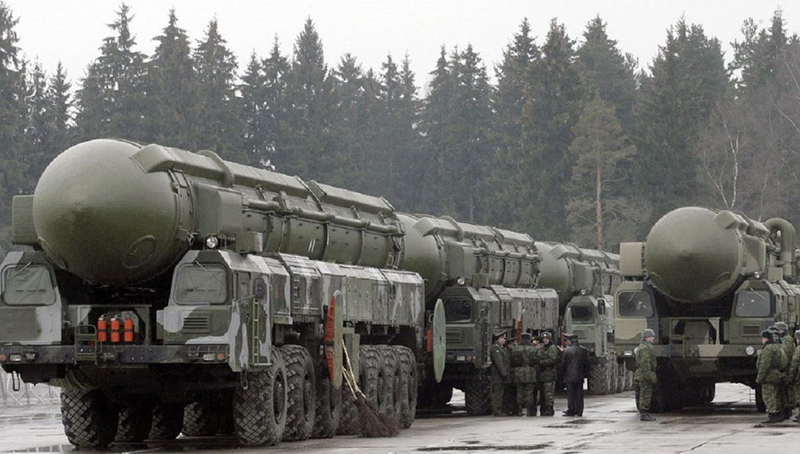 Solid fuel-powered SLBM represents a step forward in the North’s nuclear missile programs. A solid fuel-powered engine requires much less fueling time than a conventional liquid-fueled one. In addition to its solid fuel, the missile was “cold-launched,” or expelled from its launch tube before igniting. These factors, coupled with the Pukkuksong-2’s road-mobility, make the missile highly mobile and capable of being launched on short notice. “In my view this system is much more of a game changer for DPRK missile capability” said missile analyst Nathan Hunt, COO of Strategic Sentinel. Hunt said the new missile is more capable over what the DPRK had demonstrated with their Hwasong-10 Musudan missile which is liquid fueled and still is heavily based off the older soviet R-27 Zyb missile, requiring fueling prior to launch. Under U.N. resolutions, North Korea is barred from any use of ballistic missile technology. 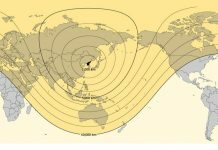 Six sets of U.N. sanctions since Pyongyang’s first nuclear detonation in 2006 failed to stop the rogue regime’s nuclear ambitions. It conducted two nuclear tests and numerous missile launches in its pursuit of developing a nuclear weapons system capable of hitting the U.S. mainland. 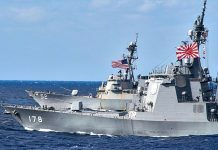 Following the missile test South Korea, the United States and Japan have asked the United Nations Security Council (UNSC) to convene an emergency meeting to discuss countermeasures against North Korea’s latest missile provocation. China, the North’s closest ally, also joined the criticism on Monday by saying that it is “clearly” opposed to the ballistic missile test while vowing to work together with other countries including the U.S. to resolve the issue in a “peaceful” and “stable” fashion.